While child custody orders are generally considered final in California, an exception exists when material changes in circumstances impact the best interests of the children involved. In fact, in severe cases, it is possible for parents to lose custody rights obtained through a separation or divorce. 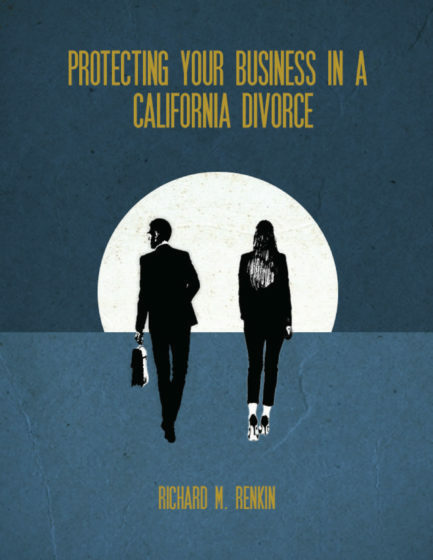 However, due to the California courts’ recognition that maintaining at least some relationship with both parents will be in a child’s best interests in most cases, modification will often be a more-appropriate remedy, and parents seeking to terminate their former spouses’ or partners’ custody rights must ensure that they have adequate grounds (and evidence) to pursue a case for termination. Child abduction, or removing a child from another parent’s custody without legal authority, is one potential ground for termination or modification of child custody. This includes both in-state and out-of-state abductions. An abduction does not have to last long in order to have detrimental effects on the child (or children) involved; and, as a result, parents can promptly seek legal remedies when abductions occur. For obvious reasons, child abuse is among the strongest and most-immediate grounds to seek modification or termination of a parent’s custody rights. Other remedies may be available as well, and parents who are concerned about abuse should discuss their legal rights with an attorney immediately. Domestic violence targeting other family or household members can provide justification for seeking termination or modification of child support as well. This is particularly true in cases where children are exposed to acts or effects of abuse. Once again, acting promptly can be critical to mitigating any harm to the children involved, and parents who are concerned that their children may be exposed to domestic violence should seek legal counsel right away. If your former spouse or partner has been convicted of a crime subsequent to your divorce or separation, this too can impact the determination of what is in your children’s best interests with regard to custody. While jail or prison time presents an obvious issue for custodial parents, convictions not resulting in incarceration can potentially warrant reconsideration of existing child custody orders as well. Drug or alcohol abuse can render a parent unfit to serve in a custodial capacity. If you have reason to believe that your former spouse or partner is abusing alcohol, prescription medications, or illegal drugs and that such abuse is negatively impacting your children (including subjecting your children to a dangerous living environment), this too can provide justification for seeking termination or modification of custody as well. Finally, refusal to co-parent is another potential justification for seeking termination or modification of child support but is extremely hard to obtain. Refusing to spend time with a child can have detrimental effects that are just as severe as those of abduction and abuse, and the California courts will not hesitate to protect children who are at clear risk for psychological or emotional harm. But, the harm needs to be clear and present and not potential. In any case, in order to protect your children, it is important to take legal action as soon as possible. To discuss your options in confidence, contact us for a confidential initial consultation today. If you need to speak with an attorney about seeking termination or modification of custody in North County, San Diego, we encourage you to get in touch. To request an appointment with family law attorney Richard M. Renkin, please call 888-837-3564 or inquire online today.